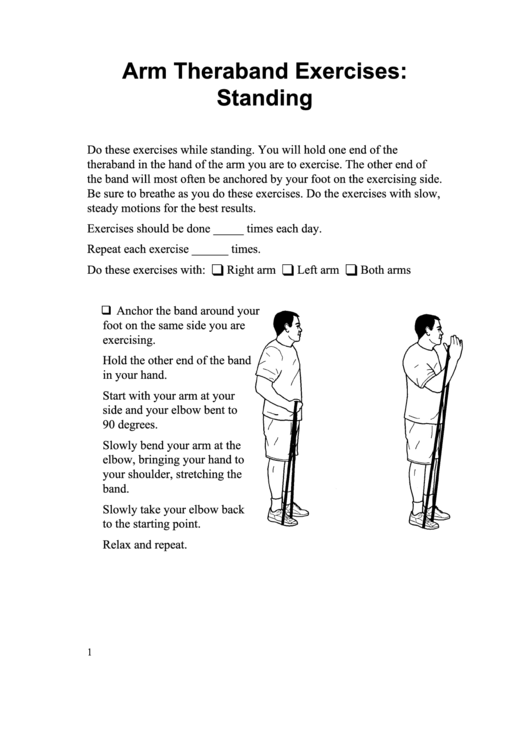 the band will most often be anchored by your foot on the exercising side. steady motions for the best results. Exercises should be done _____ times each day. Repeat each exercise ______ times.